Intel has finally taken the veils off of its 7th generation core Kaby Lake processors. The announcement came at the grand floors of CES and with it, the immediate availability of Intel’s latest family of desktop processors. From what Technoprozium has learnt, retail availability can be expected around halfway through January 2017 with e-tailer already offering the parts online. We have already covered the Kaby Lake architecture andperformance expectation in detail, it’s time to get things official. Here, we’ll try to sum-up the most important aspects of this launch and pass the verdict. Let’s go. First of all, here is more comprehensive list of core Kaby Lake processors. The prices are in US dollar, hence, you need to convert those into Indian rupee first. **Any part/model number ending with “K” means the processor is unlocked and overclockable. Likewise, the suffix “T” stands for low energy. Looking up the chart, two things immediately caught our attention – the anticipated overclocking i3-7350K which we talked about in our preview and the inclusion of “Hyper Threading” (HT) in Pentium series of processor! HT is Intel’s approach to Simultaneous Multithreading (SMT) where a physical CPU core is capable of running multiple process-threads independently. As a result, the operating system and apps recognizes each physical core as two logical cores. HT is an efficient way to boost a processor’s multicore performance but Intel kept this feature exclusive to its i7 and i3 line-up, until now. If the info on company’s website is correct then it seems that Intel has decided to enable the entry-level Pentiums with two extra logical cores which makes them almost as potent as the i3 processors. This is good news for users and builders alike, specially the ones with budget constrain. The same however may not be said about the much hyped i3-7350K! The prospect of an overclockable i3 that can match the very best in single threaded performance sounds awesome; but at ~INR12K ($180) it’s hovering around i5 territory and kinda defeats the purpose! If you consider the cost of a good after market cooler which you’ll need in order to get the best out of this chip, it’s not a value proposition for budget builders. We think a price point of ~10K would’ve been much more practical. The rest of the line-up is pretty much a standard affair and the new 7th gen processors aren’t much different from their Skylake based predecessors. The architecture, core count and TDP remain identical with the previous generation, so does the distribution of last level cache. 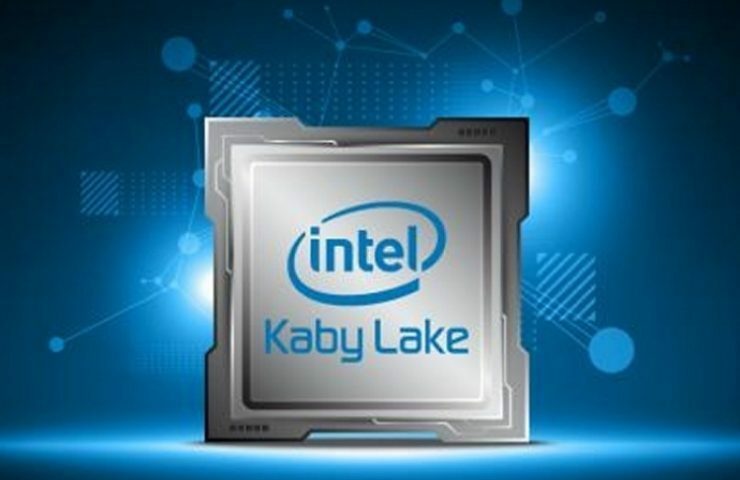 Without any IPC improvement, what Kaby Lake brings to the table is raw frequency increment. 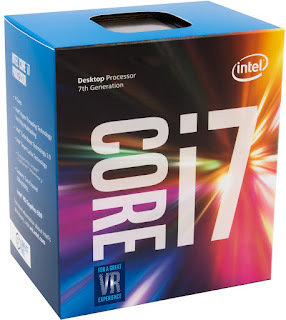 Intel’s improved 14nm+ process tech enables the new chips to hit higher base and turbo clock – upto 4.5GHz as in the case with the flagship i7-7700K. All desktop parts receive this boost, down to the i3-7100 which is up 200MHz compared to its predecessor i3-6100. The Integrated Memory controller (IMC) in Kaby Lake processors now supports DDR4 2400MHz out of the box, instead of 2133MHz, restoring memory speed parity between Intel’s HEDT and mainstream platforms. We also have a new graphics in form of HD 630 with a powerhouse of a media engine. Kaby Lake CPUs may not be the IPC champion we’ve all been waiting for but thanks to Intel’s refined 14nm manufacturing process they are the fastest mainstream processors one can buy right now. The frequency boost helps the new chip move past Skylake, albeit ever so marginally. It’s the single threaded applications that benefit most but then single-thread performance was never Intel’s weak point. That advantage however shrinks in benchmarks and apps which utilize multiple cores and almost evaporates out of the window once the clocks are same! If you are sitting on a good Skylake processor or a Haswell even, we don’t see any tangible benefit in upgrading to Kaby. Also with Ryzen on horizon (no pun intended), the wiser course would be to wait and see what kind of competition it can provide. The same is true for the gamers within you, even more so. Most modern games are graphics bound and even a five years old overclocked Sandy Bridge processor is still fast enough for most of the tittles out there. The mere increment of couple of hundred megahertz does almost nothing for your FPS (frames per second) and the money is better spent on a graphics card upgrade. If you are in the market for a new build then we don’t see any reason not to opt for Kaby Lake. Unless of course, you get a better bargain on the out going processors which given Intel’s pricing policy is a very rare occurrence. 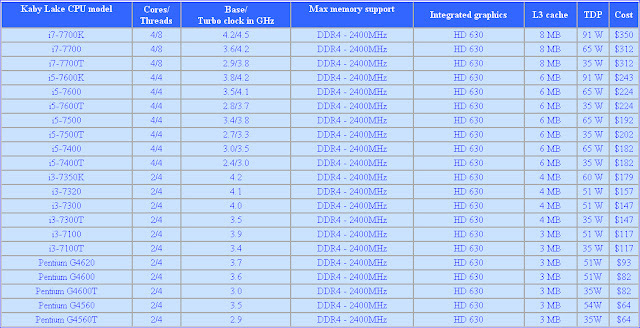 Intel has also launched the 200-series chipsets codenamed “Union Point” along with the new chips. Built around the same LGA-1151 socket, both the new processors and chipsets are completely compatible with now older Skylake platform which provides some extra options to the system builder. Just remember that you’d have to flash the BIOS of older 100-series motherboards with the latest firmwire before you can install a Kaby Lake processor. Most motherboard makers have already provided optimized firmwire for that purpose on their websites. If you’re going to build a high-end Kabylake system, you should pair your i7/i5 CPUs with motherboards based on the Z270, H270, and B250 chipsets. 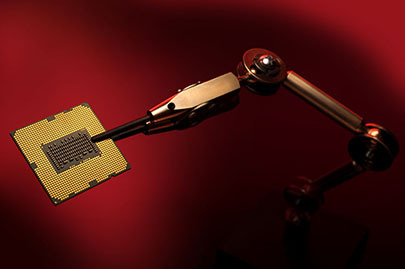 Apart from out-of-the-box compatibility, these newer chipsets offer extra PCIe / HSIO (High Speed Input Output) lanes which translate into more connectivity options i.e. extra USB, LAN or SATA ports. Optane storage devices are also supported only on this new platform. Based on Intel’s 3D XPoint memory technology, Optane is going to sit between your SSD/HDD and RAM as an intermediate memory subsystem. With no words on its pricing and availability, we still think Optane is a futuristic and niche product and not something you should base your buying decisions on. We’ll say this upfront: there is nothing exceptional about Kaby Lake’s overclocking ability. It seems that the high default clock-speed doesn’t leave much headroom and these chips hit their limits at around 4.8 with reasonably good cooling equipments. Then there is the silicon lottery factor which according to Tom’s Hardware is very much into play within early retail samples. So, unless you’re quiet confident in your ability to detect golden chips, don’t expect much of a free lunch here. Power consumption and thermal characteristics of Kaby Lake processors are pretty similar to their Skylake counterparts; if anything, the new silicon seems to be tad more athirst for power – 14nm+ not withstanding. 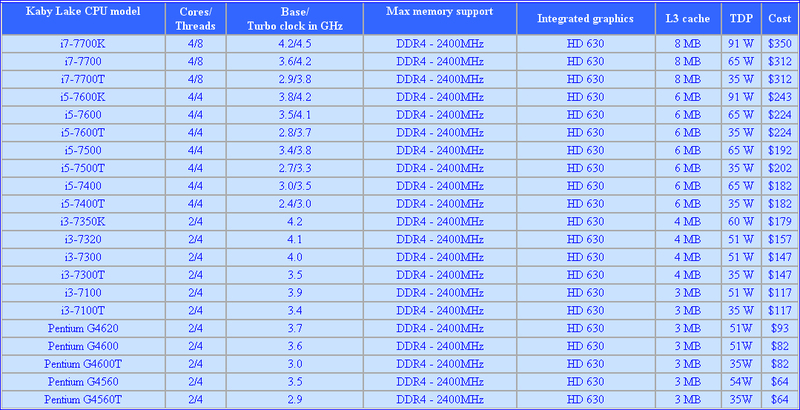 The overall efficiency is still pretty excellent though, particularly when compared to AMD’s offerings. The new HD 630 integrated graphics is based upon older HD 530 and performs very similarly in gaming benchmarks. While it’s good for casual 720p gaming, AMD’s Kaveri APUs still offer better performance and value. It looks like, this time around all of Intel’s effort went into redesigning the new media engine which is now more efficient and packs some potent features for home entertainment. With dedicated hardware acceleration for 10-bit HEVC/VP9 decode and 10-bit HEVC/8-bit VP9 encode, the new IGP is a great solution for streaming 4K content. An enhanced Quick-Sync offers better quality transcoding by utilizing the Execution Units (EU). These are good news for users who don’t have the luxury of discrete graphics cards, yet want to turn their desktops/laptops into capable media center PCs. Last but not least, Kaby Lake CPUs are properly supported only on Windows-10; like it or not, that’s the only way going forward according to Microsoft. Also, Intel’s Speed-shift (enhanced version of “Speed-step”) technology which adjusts processor frequency according to the workload only works with Windows-10. Introduced with Skylake processors, Speed-shift makes the CPU in-charge of on-the-fly frequency scaling, rather than the OS. This way, the CPU reaches its optimal peak much faster which makes the system feel snappier and more responsive. So, there you have it! Kaby Lake is essentially Skylake with a frequency boost coupled with newer (and better) chipsets. 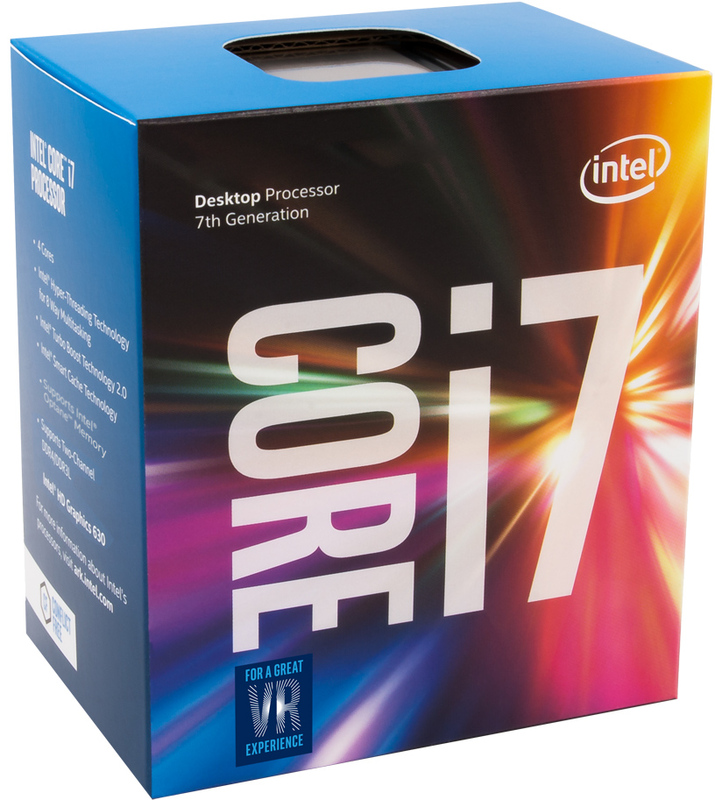 The extra speed along with the new media engine and improved Speed-shift make the 7th-gen Intel processor an ideal choice for laptops/notebooks and entry-level desktops. The high-end landscape however remains mostly unscathed and it will remain so until AMD re-enters the frame with Ryzen. For the better part of last 10 years, Intel has been fighting its own shadow and the Kaby Lake is an obvious product of that stagnation. The company is in the midst of a big migration – from an intense Tick-Tock to a relatively relaxed but steady Tick-Tock-Tock development model. From that perspective Kaby Lake is definitely a milestone as it represents the 2nd Tock or optimization phase; form every other angle, it’s a very modest launch.